The history of all 7 DASF units is now under underway. If you were a member of any of the 7 different DASF units - we would like to hear from you. There were a total of Seven Direct Air Support Flights (DASF Units). Anyone whom was assigned to any of the other Seven DASF Units through out the PACAF Theater that would like to send information to me to include, please feel free to do so. Also, include the air base use for your operations and your parent command. At this time there is virtually no history of these seven DASF units recorded in any of the military archives. The above link will take you to where all of our efforts on getting information on the units, especially the 4th DASF takes place. It has proven that the unit/s for the most part have no History, Day Logs or Morning Reports, TDY logs, Personal records, or any other important information that one would have expected to have been kept on file. As such we are seeking any and all information about all of the Direct Air Support Flight. If you can help with this information, please contact us at the email at the bottom of this page and let us know what you have of offer. Those airman that have submitted pictures will find them under their name and the DASF unit that they were assigned to at that time. Some pictures are from both their home base and while they were stationed (PCS or TDY) in Vietnam, others are while they were only in Vietnam. Time period is from 1964 - 1975 and or later. Please make all picture scans in *.TIFF format only and at high DPI (200 or higher for pictures and 600 for slides) if you do not have Photoshop. If you have Photoshop please save in *.PSD format, provide the necessary text and names of personal for each picture, date and location of the picture if possible. Place all information that you wish to provide on CD(s), giving your name, rank, and position within this unit at the time the pictures were taken, current mailing address, phone number etc. and mail to Robin Michael, 312 Turn Again Lane, Tryon, NC 28782. Should you wish to have the CD(s) or other information returned, please indicate so. If you have any question on this, please Email : romad@charter.net and put DASF in the subject line so the spammer won't trap your email. at Osan AB, South Korea. Shown below are the results from my request from the USAF and other Military Archives for information on the 4th DASF and their replies. I also sent a request to Osan AB and the reply was no records or history for this unit. As you see, it seems that no one at PACAF Headquarters bother to keep records on the 4th DASF either. Since the 4th DASF was a Tenant Unit assigned to the 314th Air Division staying at Osan AB, South Korea; Osan AB did not keep any records of our unit as we were considered not a part of the base structure. The 4th DASF was dispatched through out South Korea, including along the Korea DMZ and to South Vietnam with the Korean Tiger Division. We were always sent as TDY by / from PACAF Headquarters in Hawaii. To date no one has found anything on the 4th DASF in the way of a Personnel Rosters, Unit History, Commanders, First Sergeants or other support personnel, plus no Morning Reports have been located. Anyone out there with any information on the 4th DASF, please forward it to me ASAP. [X] 2. Materials and information requested cannot be provided because it is not in our collection. [X] 9. Comments: I am sorry that I could not locate the information that you requested. The only data that we have has to do with when the unit was activated and its assignments. Thank you for your request. This in reply to your inquiry concerning rosters of the 4th Direct Air Support Flight stationed at Osan, Korea. The history of the 4th Direct Air Support Flight (DASF) contains no rosters of either deployed personnel or personnel in the organization at Osan. The history does mention that personnel were deployed to Vietnam up to 120 days, that during the first half of 1966 the 4th DASF was authorized and assigned 29 personnel. The history also lists a number of exercises with the U.S. Army , FROKA, ROK Marines and the ROKAF during the first half of 1966 including Nightmare Oscar, Nightmare Tango and the weekly and bi-weekly Rock Wall and Kooni Range but again no rosters or names are provided. Thank you for your information concerning the 4th DASF. Unfortunately, we cannot be of any help in your additional request for information. Neither the 4th or the 2nd DASF histories contain names or lists of names of individuals assigned nor are there any awards, promotion lists or TDY orders that would identify individuals by name and serial number. 1. There as a possibility that the National Personnel Records Center may have a roster. 2. The 4th Direct Air Support Flight was simply inactivated, 16 August 1968 (DAF OMO Letter 961n, 16 August 1968). The mission seems to have been taken up in Vietnam by the 504th Tactical Air Support Group and its subordinate units. I have included a computer printout describing documents that are available and that might include the information that you are looking for (18071 michael 1.doc) and instructions for ordering copies. 3. I have included another computer printout describing documents that contain information regarding the 4th Direct Air Support Flight (18071 michael 2.doc). I strongly suspect that these are the documents that Ms Adamoyurka referred to as "the histories of the 4th Direct Air Support Flight." I have been unable to locate any other "histories" for the 4th Direct Air Support Flight. 4. We do not have any information on the airmen. 7. I hope this proves to be useful. Thank you for your request. Next 2 boxes contains the text of these emails. 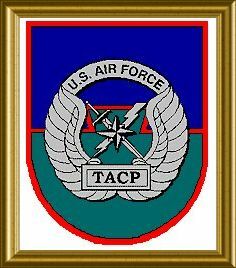 Abstract: MISSION OF 504 TACTICAL AIR SUPPORT GROUP TO PROVIDE COMMAND AND STAFF SUPERVISION OVER DIRECT AIR SUPPORT ELEMENTS OF TACTICAL UNITS OF UNITED STATES IN SOUTHEAST ASIA. DNotes: INCLUDES SUBORDINATE UNIT HISTORIES. Abstract: COMMANDER, LT COL WINFIELD M. STEIN. UNIT STATIONED AT BIEN HOA AIR BASE, REPUBLIC OF VIETNAM. Abstract: UNIT STATIONED AT NAKHON PHANOM ROYAL THAI AIR FORCE BASE, THAILAND. Abstract: INCLUDE FAIRLY DETAILED DISCUSSIONS OF BACKGROUND TO DIPLOMATIC RELATIONS BETWEEN JAPAN AND REPUBLIC OF KOREA (ROK) AND STATUS OF FORCES AGREEMENT BETWEEN UNITED STATES AND ROK. INFORMATION ON KOREAN ECONOMY IS UPDATED FROM LAST HISTORY. INCLUDES TOURIST PAMPHLET AND CHRONOLOGY OF KOREAN HISTORY. KOREAN AIRSPACE AGEEMENT COMPLETED BETWEEN ROK AND UNITED STATES FORCES, KOREA. ALL CARGO BOUND FOR UNITED STATES WAS ROUTED THROUGH KIMPO AIRPORT, ROK, RATHER THAN BEING TRANSSHIPPED THROUGH TACHIKAWA AIR BASE, JAPAN. KOREA AIRSPACE COMMITTEE CHAIRED BY ROK MINISTER OF TRANSPORTATION. ROK AIR FORCE (ROKAF) RECEIVED FIRST F-5 AIRCRAFT. STATES THAT 2 DIRECT AIR SUPPORT FLIGHT AND 4 DIRECT AIR SUPPORT FLIGHT WERE ESTABLISHED AT OSAN AIR BASE, ROK, TO IMPROVE CLOSE AIR SUPPORT. SURVEY WAS CONDUCTED BY PACIFIC AIR FORCES (PACAF) MANPOWER TEAM TO DETERMINE MINIMUM ESSENTIAL MANNING REQUIREMENTS TO ACCOMPLISH AIR FORCES, KOREA, MISSION. SUPERVISORY EFFECTIVENESS EVALUATION AND DEVELOPMENT (SEED) PROGRAM IMPLEMENTED AND SIMPLEFIED FOR ADMINISTRATION OF KOREAN NATIONAL PERSONNEL COMPLETED. MAXIMUM OVERSEAS TOUR OF FIVE YEARS FOR UNITED STATES CIVILIAN PERSONNEL WAS INSTITUTED. KOREAN NATIONAL PERSONNEL RECEIVED PAY RAISES AS A RESULT OF LOCAL WAGE SURVEY. KOREAN NATIONAL PERFORMANCE EVALUATION SYSTEM ISTITUTED. DISCUSSES DEVELOPMENTS WITH REGARD TO KOREAN AIR DEFENSE IDENTIFICATION ZONE (KADIZ) AND KOREA LIMITED IDENTIFICATION ZONE (KLIZ). DESCRIBES KO/P518 PROHIBITED ZONE SOUTH OF THE DEMILITARIZED ZONE (DMZ). DETACHMENT 2, 314 AIR DIVISION (314 AD), (EQUIPPED WITH C-47 AIRCRAFT) SUPPORTED CLOUD NINE AND BASE HIT ACTIVITIES, FLEW JIL LI LEAFLET MISSIONS AND PERFORMED PHOTOGRAPHIC RECONNAISSANCE. DISCUSSES REACTIONS TO SOVIET JAMMING OF RADARS. STATES THAT ELECTRONIC CAUNTERMEASURES (ECM) TRAINING WAS CANCELLED IN REPORTING PERIOD DUE TO INCREASED DEFCON (DEFENSE CONDITION). BONE DEEP DEPLOYMENTS OF F-102 AIRCRAFT TO KOREA CONTINUED. INCLUDES NARRATIVE SECTION ON FISCAL YEAR 1965 COUNTER BLOW UNITED NATIONS COMMAND COMMAND POST EXERCISE. EXERCISES: NIGHTMARE SERIES, TIGER TAIL SERIES OF AIR DEFENSE EXERCISES, NO NOTICE KOREA AIR DEFENSE EXERCISES, I CORPS ROLLBACK FIELD TRAINING EXERCISE, QUICK DROP AIRBORNE EXERCISE AND TONG IL TEST OF ROKAF CAPABILITY FOR SUSTAINED OPERATIONS. INCLUDES NARRATIVE SECTIONS ON PROGRAMMING FOR TAEGU AIR BASE, ROK, PROGRAMMED MAG-11 (MARINE AIR GROUP 11) DEPLOYMENT TO KUNSAN AIR BASE, ROK, DEPARTMENT OF DEFENSE COST REDUCTION PROGRAM. INCLUDES APPENDICES, LIST OF SUPPORTING DOCUMENTS AND NEWSPAPER CLIPPINGS. Abstract: BRIG GEN PINKHAM SMITH SERVED AS 314 AIR DIVISION (AD) COMMANDER. CONTAINS REVIEW OF 314 AD SINCE ACTIVATION ON 23 APR 44 AS 314 BOMBARDMENT WING (VERY HEAVY). INCLUDES SHORT HISTORY OF KOREA; POLITICAL AND ECONOMIC DEVELOPMENTS OF REPUBLIC OF KOREA FROM 1945 THROUGH 1966. MISSION OF 314 AD, BASED AT OSAN AIR BASE (AB), KOREA, TO MAINTAIN ASSIGNED AND ATTACHED FORCES IN COMBAT READINESS TO INSURE SUCCESS OF 5 AIR FORCE OPERATIONS. 6175 AIR BASE GROUP (ABG) OPERATED AND MAINTAINED KUNSAN AB, KOREA. SECTION ON REORGANIZATION OF 314 AD. DISCUSSES PROJECT MIX FIX (IDENTIFY ESSENTIAL MILITARY REQUIREMENTS FOR KOREA AND POSITIONS NOT CONSIDERED MISSION ESSENTIAL). SECTION ON KOREAN AIRSPACE DISCUSSIONS AND CHANGES TO KOREAN AIRWAY STRUCTURE. MISSION OF 2 AND 4 DIRECT AIR SUPPORT FLIGHTS (DASF) TO MAINTAIN DIRECT AIR SUPPORT CENTER AND TACTICAL AIR CONTROL PARTY PERSONNEL AT HIGH LEVEL OF COMBAT READINESS. 314 AD INVOLVED IN EXERCISES TIGER TAIL, NIGHTMARE GOLF, CROSS EAGLE, WHITE BEAR, FLYING TACKLE, HOT SABRE, STRONG SHIELD, AND COUNTERBLOW. ON 7 OCT 65, ZERO DEFECTS INSTITUTED AIR FORCE WIDE. OSAN AB POL (PETROLEUM, OILS, AND LUBRICANTS) BULK STORAGE SUPPORTED SOUTHEAST ASIA REQUIREMENTS. BASE EQUIPMENT MANAGEMENT OFFICE (BEMO) INSPECTED AND EVALUATED BY 5 AIR FORCE INSPECTION TEAM. 6314 CIVIL ENGINEERING SQUADRON MISSION TO KEEP OSAN AB OPERATIONAL WAS SUCCEEDED DESPITE SHORTAGES OF MATERIAL AND PERSONNEL. CHAPTER 7 DISCUSSES ACTIVITIES OF DETACHMENTS ATTACHED TO 6314 SUPPORT SQUADRON. DNotes: APPENDICES INCLUDE TOTALS OF CONSOLIDATED BASE PERSONNEL, MILITARY PERSONNEL ACTIONS, CIVILIAN ASSIGNED STRENGTH, REPORT FROM CHAPLAINS OFFICE, AIR POLICE ACTIVITY, STAFF JUDGE ADVOCATE ACTIVITY, FOOD SERVICE ACTIVITY, BASE SAFETY OFFICE SUMMARY, PERSONNEL SERVICES REPORT, BASE EDUCATION CENTER REPORT; INTERNATIONAL BALANCE OF PAYMENTS REPORT TRANSMITTAL LISTS; KEY PERSONNEL ROSTER. and whether their equipment requires microfilm to be mounted in 3M cartridges or in open reels. · Indicate whether you wish your microfilm(s) to be mounted in a 3M cartridge or on open reels. Cartridge mounting is provided free of charger on request. If you do not specify mounting, you will receive your microfilm on open reels. · Carefully examine the IRIS Product sheets and account for each roll of microfilm that you wish to order. It is possible that several of the items that you wish to order are contained on a single roll of microfilm. Check the roll numbers. Find the roll numbers at “IRISREF:”. If there is no value in the IRISREF field then look for “Reel:” (disregard leading zeros if present). · The cost for each roll of microfilm is US $30. For official governmental purchases, use DD Form 448 (Military Interdepartmental Purchase Request (MIPR)). Although the Historical Research Agency maintains rigid microfilm processing quality controls, readability of offered microfilm cannot be guaranteed. While most are highly readable, some may not be due to the poor quality of an original document and inherent limitations in all copying processes. Our microfilm rolls (these rolls hold approximately 2000 frames) may contain documents not included in your order. Because the Historical Research Agency cannot selectively duplicate portions of microfilm rolls, you must accept the entire roll of microfilm to obtain the microfilmed documents you have ordered. NOTE: If you are ordering microfilm to substantiate a veteran’s claim. It is suggested that claimants consult with their local VA office. Be sure to provide the VA with copies of IRIS computer printouts and Microfilm ordering instructions. Below are comments submitted by other ROMAD's from other units. This makes for very interesting reading. Comments from others that have sent in emails. It is the complete ALO/TACP contingent at ROK Div Hq. in the summer of 1968. The location of course is Tiger Town. Most of the individuals in the photo are identifiable from the special order you posted for me as group of photos #5. I have not matched the names yet but, am working on it. In this photo are the Div ALO, Div ROK G2, our first shirt, Div ROMAD's, and all the maintenance troops, all enlisted guys are 304x4 types except one, who is an AGE mechanic. I know several of these troopers personally, so, is not hard to identify them. SSgt. Post, the tall guy on the upper right hand back row and I are in communication with one another and as soon as I run this past him I'll send another photo with names to match. 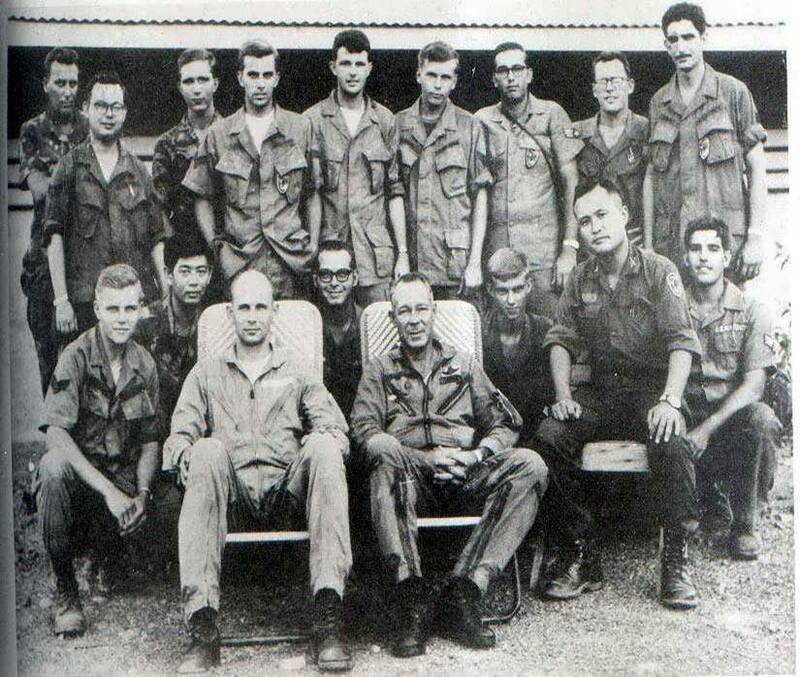 Cooper, Unknown, A1c James Carol, Unknown, Ssgt George Post. Unknown FAC, Div ALO Lt. Colonel Flynn, ROK Tiger Div G2 ~ Park, either Lee? or Kim?